It’s super easy. 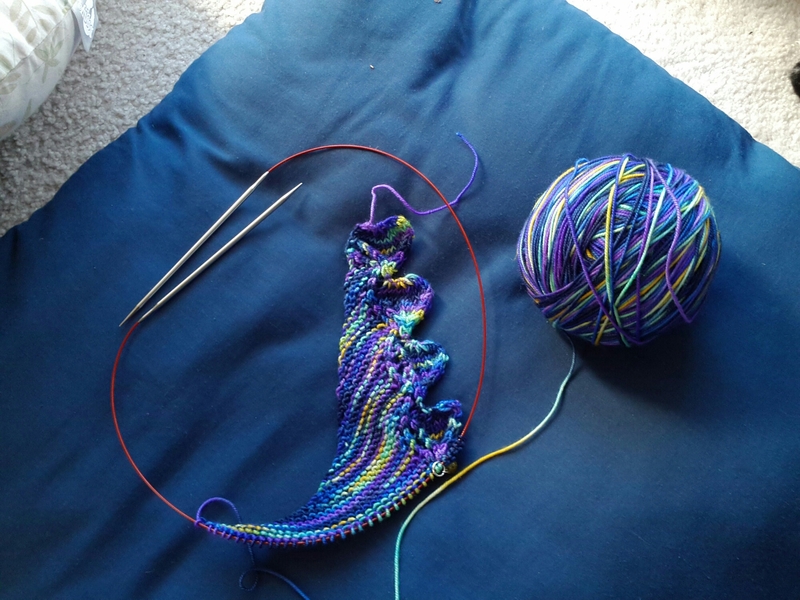 It starts out with a few stitches cast on, then increases every to to make a long triangle “shawlette” style scarf. I love how the colors are striping thick and thin. 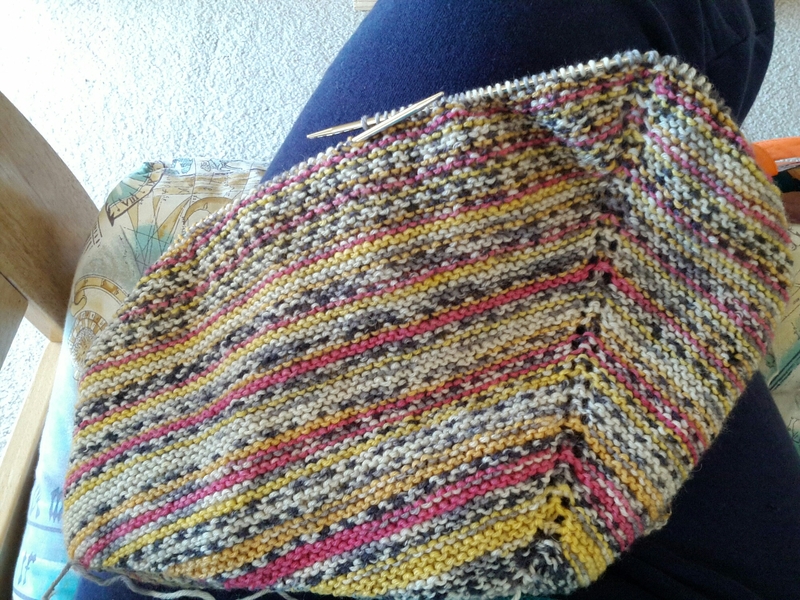 The edging will be knitted scallops, which is cool! I’ve never knitted scallops before but it’s common in crochet. The scallops/shells should also highlight the small color changes well. I'm up to around 250+ stitches now. 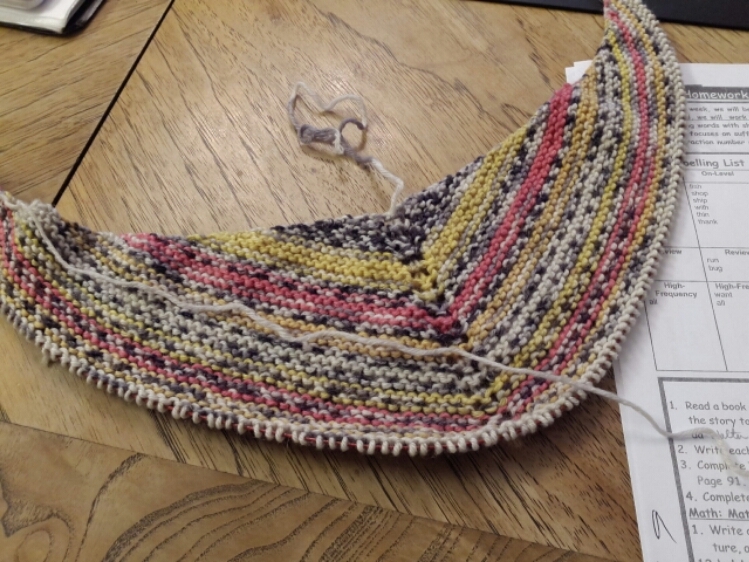 Since this yarn is thicker than the pattern’s, I may stop at around 300 stitches instead of the recommended 389 to account for gauge. I want to use as much of the skein as possible! This was my third or fourth picture, taken quickly before cat or toddler got in the way again! I made a 22.5 scarf, too. it’s my go-to, live-in scarf for winter. it’s green variegated with an ultra thin sterling silver (!) thread. sparkle! I did crochet edging because I just found that to be easier, and I made some pretty awesome huge tassels to weight the ends. Make it large. Ooo shiny! In almost did the edging in crochet but the knit version was pretty quick and fun to try. That being said the crochet might look nicer. I finished it today! Pics soon.